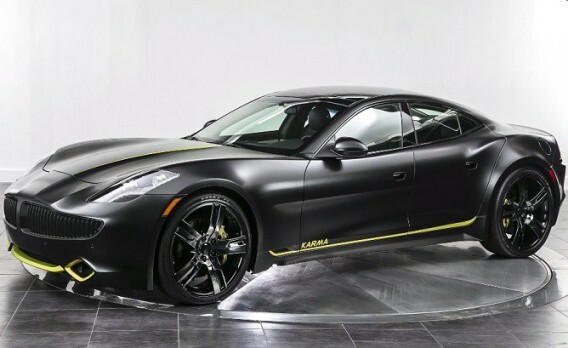 The Karma Revero includes improvements to the electrical system and solar panel on the roof, as most striking novelty. As a reincarnation of the failed model Fisker Karma, the hybrid pluggable Karma Revero enters the automobile market to compete against the Model S, Tesla electric car, given the similarity of their system. Having a base price of $130.000, Revero includes improvements to the electrical system, propulsion, interiors and a new system for information and entertainment. According to news, the car can cover around 80 kilometers using only electric engine before switching to a gasoline engine, according to the director of revenue, Jim Taylor. It also has a solar panel on the roof that can recharge the battery, and even the Infotainment system. The exterior of the car, its most remarkable attribute, also received a ‘lifting’ to improve airflow and as a cosmetic freshening, according to information gathered by Forbes. In this way, the renaissance resulted in an enhanced version of the auto Fisker Karma which appeared six years ago. So the new Karma Revero offers fast recharge capability, better handling, acceleration and new features, including software updates through a 4G connection. Karma has not yet announced when it will begin to deliver their new vehicles, although probably start to do so by the fourth quarter.